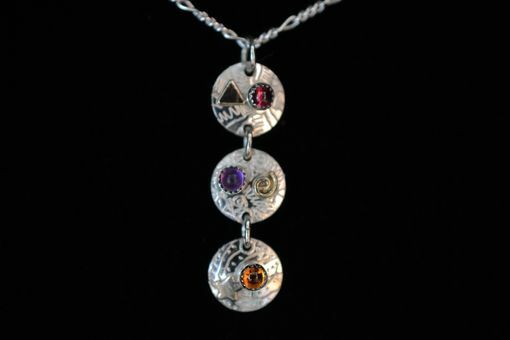 Sterling silver + 14K gold fill necklace of 3 ss discs w/ semi precious stones (customer choice) and 14K gold fill units. Hand engraved on front, writing on back. 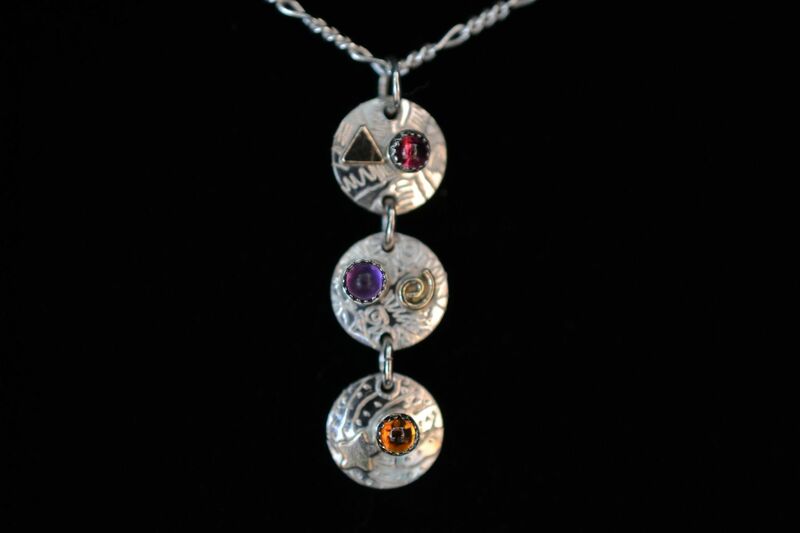 Hung from 18" sterling silver chain. Dimensions: 18" sterling chain which can come shorter. Each disc 3/8", hangs 1+1/4"